A few years back, I was searching for a car to replace my very dear (but already old) 2004 Kia Sportage. I did my research and browsed through countless car comparisons and forums. In all, I spent more time than I ever imagined looking for the new car of my dreams. To fast forward, I bought a 2015 Kia Sportage in the end. Now, this was the very exact same brand and model as my previous car, but it was just a new version. There were no updates to much of the car, and it didn’t have a lot of horsepower or more advanced features. My heart of hearts, however, I knew that it was the optimal car for me. This car had my heart. The emotional pull that many people feel toward their first cars drove me to repurchase. My plight to finding the perfect “new” car is a textbook example of how our emotions rule the buying process – we decide what to buy with our hearts and justify those purchases with our heads. The benefit, which in this case was an emotional one, trumped the vehicle’s features when it came to make a decision. So how does this influence your approach to marketing? It exemplifies how people make decisions! When marketing your products or services, highlight the benefits over the features! In other words, answer the question “Why should I buy it?” rather than the “What am I buying?” question. Benefits, whether rational or emotional, enable your audience to connect with your product or service. If those benefits are rational, your audience will connect in a useful way. If the benefits are emotional, your audience will connect in a personal way. Rational benefits – practical connection. All products or services can turn their features into rational benefits. Dyson impeccably embodies this by style by keeping its features simple and to the point. In this case, they turned one of their prolific features, their proprietary technology, and showcased the rational benefit of no clogging. Rational benefits should come to mind much more quickly than emotional benefits do because they are, simply put, the consequence of the product’s features. This means that the emotional benefits are the direct outcome of the product. ➔ Appliance stores can turn their energy-efficient refrigerators (feature) into refrigerators that save both energy and money (rational benefit). Emotional benefits – personal connection. My decision to buy a newer version of the same brand and model vehicle came from my emotional connection that translated into an emotional benefit. The fond memories of my first vehicle persuaded my mind to make the purchase. Brands that manage to be associated with emotions sell and win. It is this simple. It does not matter that much how good its products or services are. Can you think of a company that has consistently marketed its products by appealing to emotions through the last century? Exactly. Coca-cola. They are arguably the domain authority in this subject. Can you guess if they are a successful company? You bet. Their product can be as tasteful or as tasteless as any other carbonated soft drink. But they are not in the business of soft drinks, or are they? 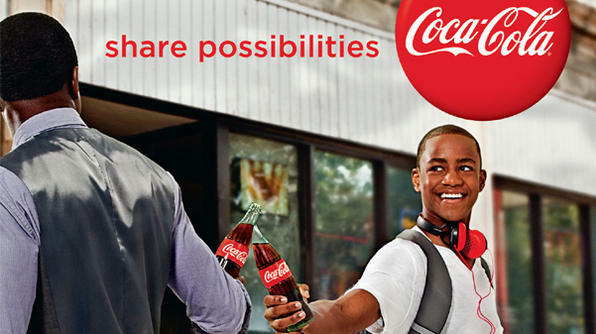 Coca-cola sells emotions. And that is the reason they sell and win. Similarly, Porsche appeals to the emotional benefit that comes from owning one of its opulent vehicles. This advertisement asks a question that makes you yearn for something more. Fulfilling the dreams of our youth would be quite the emotional benefit! Porshe does a fantastic job executing a sign that connects to our emotions. ➔ Pet stores might invoke the emotional benefit of having a dog by portraying a picture of a happy, All-American family with their furry friend to encourage an increase in pet adoptions. ➔ Clothing stores might bring upon an emotional benefit by portraying a picture of a couple gazing at the stars wrapped up in cozy cardigans. ➔ A coffee shop who uses responsibly grown and fair trade beans, can display a picture of the thriving community that directly benefits from the coffee the store sells. In conclusion, when it comes to promoting your products or services, remember to emphasize the benefits, whether they be rational or emotional, over the features. Your target audience, no matter what that audience is, will decide with their hearts and justify with their heads. They are more likely inclined to buy products or services if there is a connection between the two. IT IS UP TO YOU TO ESTABLISH THAT CONNECTION – NOT THEM. As always, we’d like to hear from you! Do you have a benefit over feature quandary that Kolau can help you with? What about a great example of a benefit you came up with that is yielding great results? Let us know on Twitter at @KolauMarketing, or via email at info@kolau.com and you may see yourself on the blog’s section Ask Dan’s weekly. Be sure to subscribe to our blog for the latest news from Kolau!